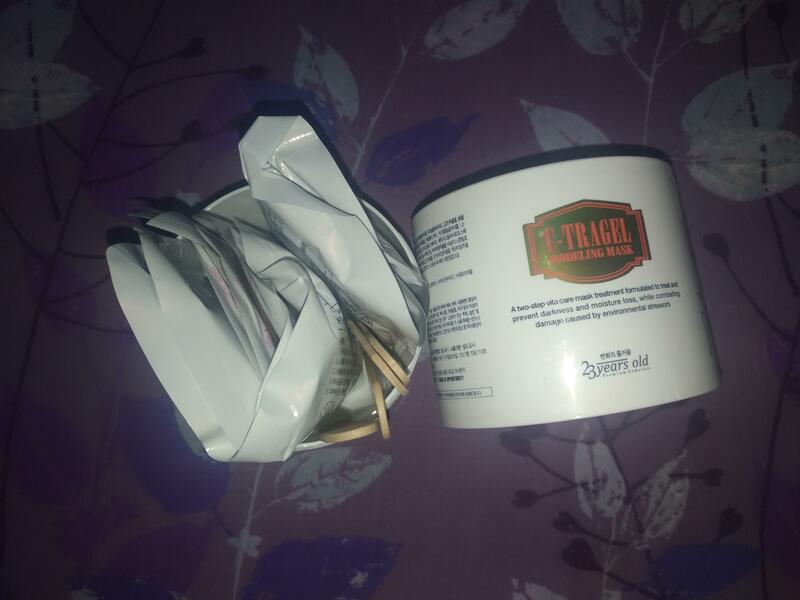 Radiant your Skin Care with the [23 Years Old] C-Tragel Modeling Mask! we aim to provide you best korean products to take good care of your skin, including Cosmetics, Masks, Face Masks. Hydra Face Masks online. - This is a perfect solution for people who seek to improve their skin with an innovative combination of seabuckthorn oil ad four seed oil that will help to relieve, moisturize, calm, soften, and soothe skin and give boost to your skin. Kha…@hotmail.com Nice masks. I like the blue one more, which is for hydration. Fan of modeling mask? Then this is a must have! Unlike many modeling mask this does not dry out! Its stay matt on top but very moist inside!! I am on 2nd jar of this product! 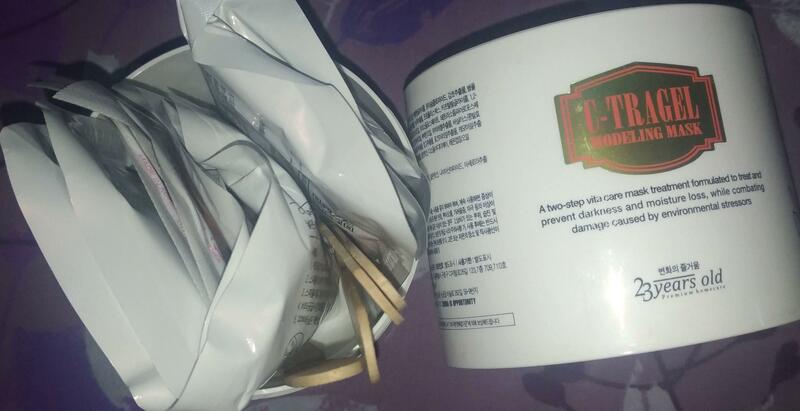 One jar contains 4 set of modeling mask!! Result is brightened, smoothened and plump skin!! Dry skin or oily skin! A must try for everyone! Since the mixing fluid is gel, the application is easier when compared to other modeling mask. This is the best Modeling Mask ever! 1. It very thick than regular modeling, so doesn't drip. The mixing liquid is actually a Gel! 2. Contains masks for 4 times usage! This makes it affordable! 3. Most importantly, even if kept for 30 mins or so, doesn't dry out! It sets and stays moist! Therefore easy to remove. 4. Results are instant! Calmed and brightened skin tone!. 5. Contains disposable wooden spatula of good quality! 6. Fragrance is mild, citrusy and slightly herbal! I am not a fan of such scent but I am happy its not strong and artificial. I am repurchasing it! I dunno know, why it's not that famous!! Seriously! It's a must buy! I always get sucked into buying award winning products, and this one is no exception! And I don't regret it a bit!